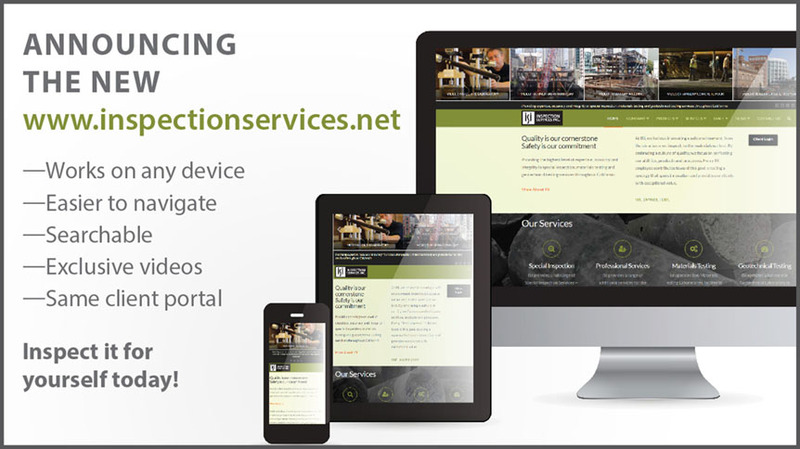 ISI Launches Redesigned Website | Inspection Services, Inc.
ISI couldn’t be more excited to launch our newly redesigned website. We hope you’ll take a moment to explore our new mobile-friendly format, drop-down menus and improved project section. Let us know what you think! We’d love to hear from you. ISI sends periodic updates featuring company and construction inspection or materials testing news, tools, job-sites and technology.